Raleigh’s Imagine Circus is a full-service production company bringing circus and cirque-style entertainment to the Triangle, North Carolina, and across the United States. 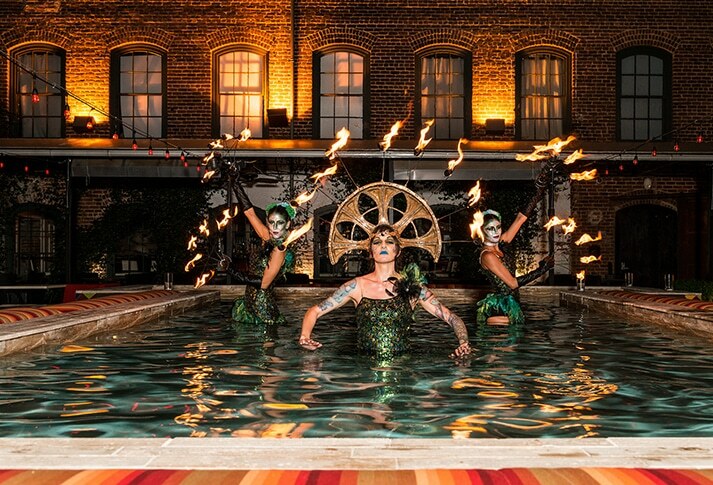 You can book a wide variety of acts for a private or public event, including aerial dancers, acrobatics, fire performers, jugglers, mimes, stilt walkers, belly dancers, sideshow acts, LED performers, and more. They are fully insured and equipped to offer customized stage shows from three to 90 minutes as well as interactive, ambient, and roving entertainment and instruction. Owners Liz Bliss, Katie Bouterse, and Kaci Torres teamed up to form Imagine Circus in January of 2017. They hope that the unique performers will inspire viewers to embrace joy and experience beauty. Check out all of the gorgeous images and learn more about Imagine Circus in Raleigh Magazine. 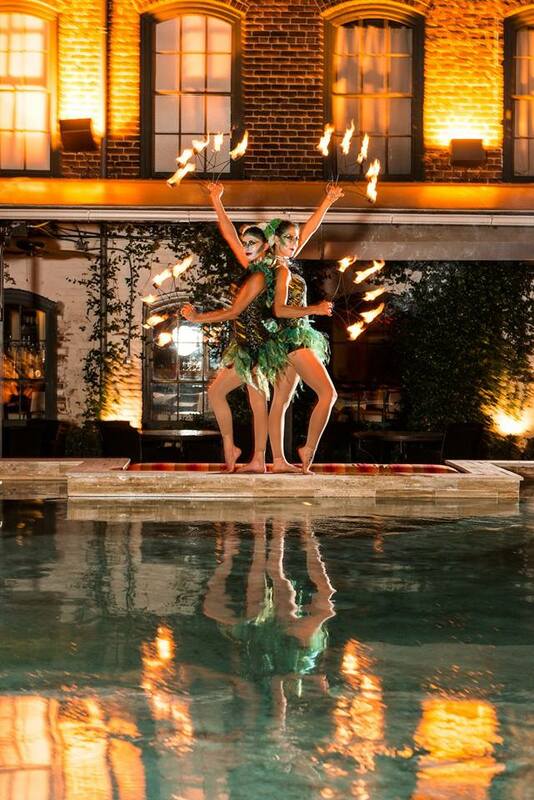 We were so excited to have the performers from Imagine Circus come to take pictures at Mulino Italian Kitchen & Bar. Our reflecting pool has always been one of our favorite features of our restaurant and when the performers volunteered to get in, we couldn’t have been happier. All of the gorgeous photography was done by Gus Samarco. Walter welcomes the native and newcomer alike with Southern hospitality, humor, zest, and sophistication. An intelligent reflection of the dynamic place we’re proud to call home, Walter is the life of the party and the soul of the city. Walter’s pages – from in-depth profiles to party pictures – are unafraid to entertain and surprise. Filled with the folks who make this one of the nation’s best places to live, work, and play, Walter celebrates them all. Learn more at WalterMagazine.com.